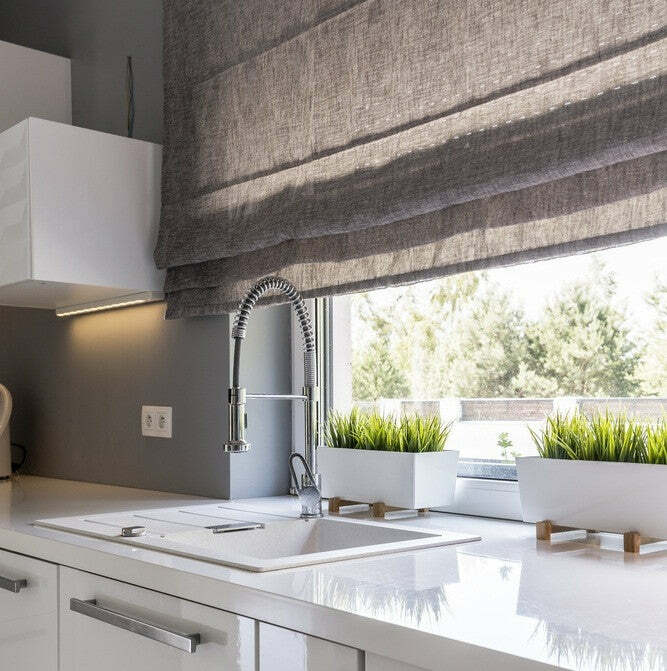 Buying a window blind can be a daunting task, as on the face of it the cost of the blind, and then potential installation costs can look very expensive. However unlike curtains, blinds have many moving parts and offer a number of advantages over curtains that can't be undervalued. For example, blinds offer greater control of light levels, as they can be adjusted into a number of different positions. Plus they can also be more versatile and hard-wearing for bathrooms and kitchens. One option to save money is to buy a ready made blind and adjust it yourself to make it fit your window. If you choose to do this then we have additional guides available to give you step by step instructions on how to adjust these blinds. However, if DIY isn't your forte then it's easier said than done to adjust a ready made blind, plus if you make a mistake then you are stuck with a blind that doesn't look right. For these reasons we would suggest going for the made to measure option. There are a range of different blind types, styles, materials and of course sizes which will affect the cost of your blind. As you are working to a budget we will give you examples of the cheapest available options, to give you a clearer understanding of what each blind will cost. We will also provide a guide to prices (excluding fitting), based on standard window sizes. There isn't an industry standard for average window size, so these sizes are hard to judge. However we have given a common size (30 inches wide x 56 inches tall), to give a realistic example of price (although your windows may be larger than the example we have given). 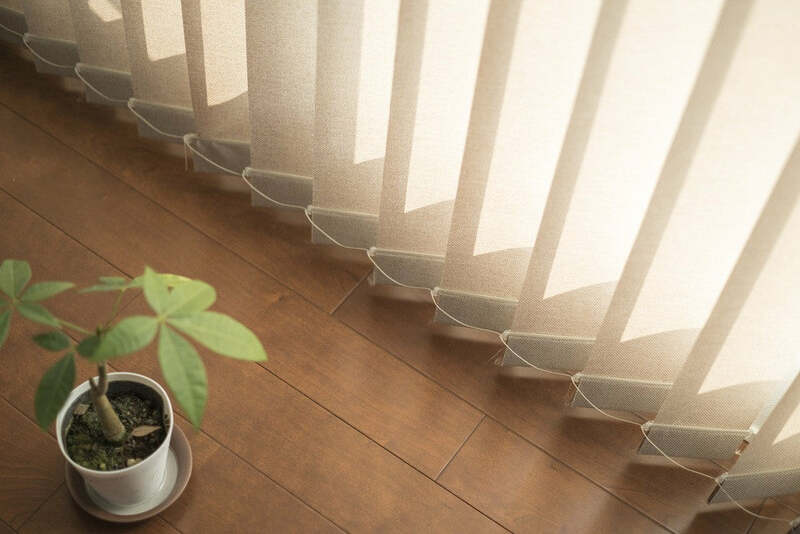 Lowest Cost: £28.76 Standard Window (30 x 56 inches) Cost: £38.66 Vertical blinds are great for patio doors or on windows where you want to open the blinds from the middle, opening or drawing the blind closed like curtains. They hang vertically like curtains, which is why they are ideal to cover a doorway, or a patio door in a kitchen. The cheapest made to measure prices are just under £30, but for a typical window size you are more likely to pay closer to £40 or above. 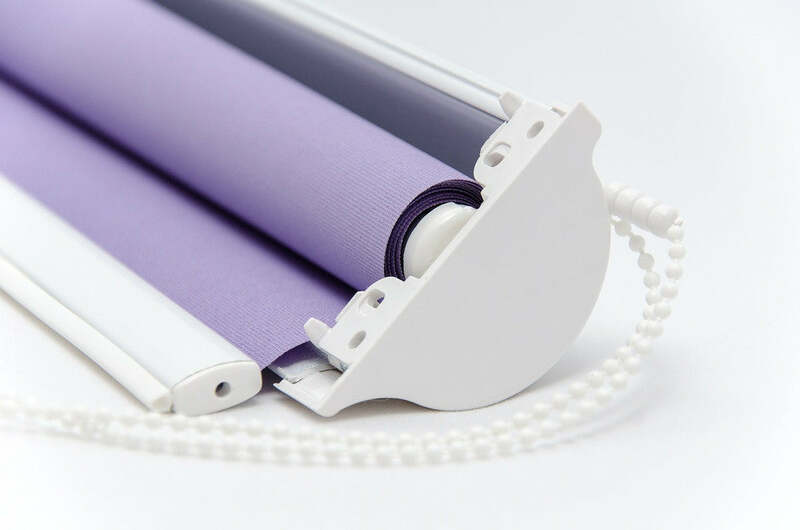 Lowest Cost: £28.73 Standard Window (30 x 56 inches) Cost: £45.28 Roller blinds are a great option in a bathroom or kitchen, as they can be easily wiped clean should they get wet, or if any spillages occur. They are also great for bedrooms, especially blackout options (see below) as they can block out unwanted street light, which is ideal in a bedroom where kids are expected to go to bed early. Roller blinds are versatile, very popular and come in a variety of materials and patterns. You could get our smallest roller blind for just under £30, but a roller blinds for a standard window size is more likely to cost around £45. Lowest Cost: £34.63 Standard Window (30 x 56 inches) Cost: £53.16 A venetian blind really is a stylish choice when it comes to blinds. They are classy and look elegant. Keeping this in mind, you'd think the price would be a lot more than roller blinds, but that just isn't the case. You would only be paying about £5-£10 more if you went for a venetian blind rather than a roller blind. That additional cost is more than worth it when you consider these blinds will completely transform your window. The smallest blind we offer would cost you around £35, but realistically for a standard window you are looking to pay around £55. Lowest Cost: £33.78 Standard Window (30 x 56 inches) Cost: £59.75 If you or your children find it difficult getting to sleep because of street lights then a blackout blind can be a great option. These roller blinds have a thicker fabric, which blocks out light from outside of the window. So for anyone who has trouble sleeping the cost of these blinds really is worth it. Just like other roller blinds these are also available in a number of colours, styles and patterns too - so are quite versatile. For the smallest window possible this blind will cost around £35, however for a standard window size this is more likely to be around £60. The additional cost here compared to a standard roller blind is for the thickness of the fabric, which is needed to block out unwanted light. Lowest Cost: £143.83 Standard Window (30 x 56 inches) Cost: £221.31 Roman blinds are a great option if you want to add a bit more flare and style to a window, as they can be adorned with a selection of different fabrics. However, they are the most expensive option when it comes to made to measure blinds. 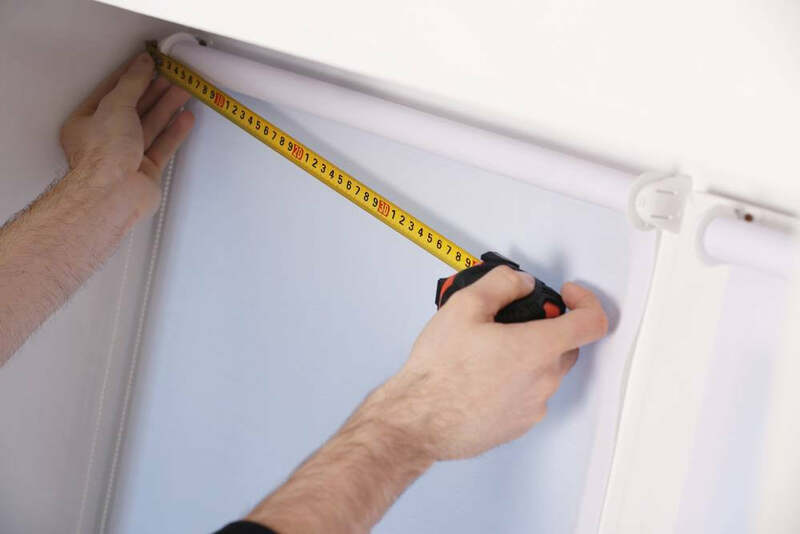 Of course you could opt for the DIY option and buy a roman blind kit instead, this will be a lot more affordable but you would still have to measure everything yourself, and even prepare your own fabric (which is not included). If that doesn't sound like an attractive option and you'd prefer to go for the made to measure option then our lowest cost roman blind is around £145, but for a standard window size you are looking to spend around £220. 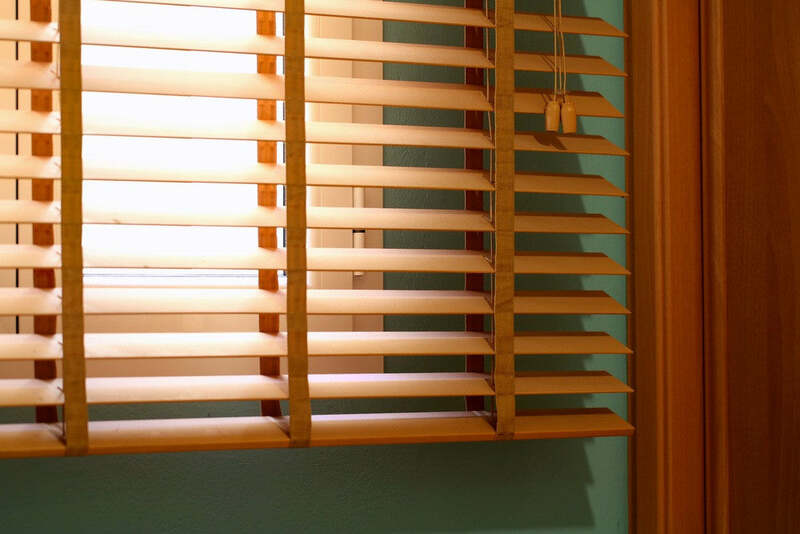 If installing a window blind sounds like the last thing you want to be doing with your Saturday morning, then you could always hire a professional fitter or handyman to do the hard work for you. If you are on a tight budget then this might not be an option available to you, but just to give you an idea of price you could probably get a blind installed for around £85. This is a typical example of the standard builders rate for half a days work.